It’s always nice to see actors we come to know and love from our favorite series move on to bigger and sometimes better things. 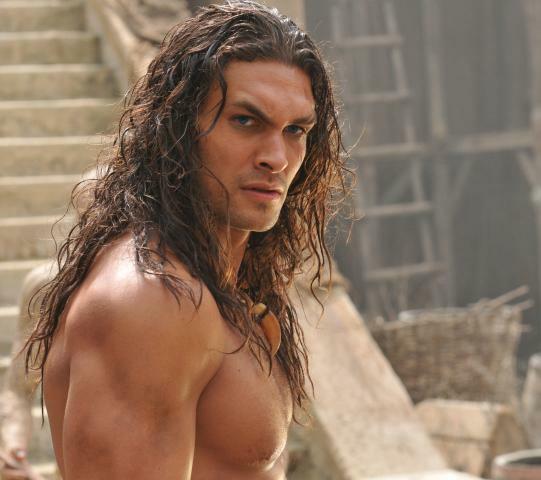 For Jason Momoa, the actor known to many as Stargate Atlantis’s Ronon Dex will soon be known to them as Conan. Last week his name was attached to the lead role in the remake of the popular pulp fantasy character (story). Citing an anonymous source, Deadline Hollywood Daily is now reporting that Momoa has been officially cast to play the barbarian in the film directed by Marcus Nispel. The Hawaiian native and former model will now be the second actor to play the role on the big-screen, after Arnold Schwarzenegger started his lauded film career in the role. The race was rumored to be between Momoa and Twilight actor Kellen Lutz, but apparently Momoa was won over by director Marcus Nispel and then won over the studio by filming a few scenes wielding a giant sword (something that Stargate fans are used to seeing). The film is reportedly starting production on March 15, with filming to take place in Bulgaria. Being the last of his tribe and having to watch his father die a cruel death, Conan is determined to avenge his peoples slaughter by killing all those who led the attack on the Cimmerians, including the all-powerful Khalar Singh. He is prepared to die in order to accomplish his goal. What Conan did not expect, was to find a reason to live. Momoa stands at 6-feet 4-inches, so he has the height to fit the part. Seeing him as Ronon on Stargate Atlantis, he also has a lot of similar qualities such as wielding a sword, the hunger to kill people, and a real brooding physicality that is perfect for the role — not to mention he can look like he has been through some battles! It's kind of nice to see Jason Momoa having a role in somthing other then stargate. Meeting him at Shore Leave, I can say "Good for him!" He's a very good looking man. I wonder how the Conan story line might go, cause all I can see is Arnold and his gigantic muscles. The Latino Review has posted the first pictures of Jason Momoa as Conan. The pictures are not the best quality but still give you an idea. Check the link above out. Stargate star Jason Momoa has wrapped the filming of the new Conan movie in Bulgaria! And to top off this announcement, here’s an official image of him in the role! Momoa’s next project, as far as we know, is to reshoot scenes from the pilot of HBO’s new series Game of Thrones in Belfast due to the recasting of Daenerys Targaryen, Momoa’s character Khal Drogo’s wife in the story. Jason Momoa looks very different then he did on Stargate. I look forward to seeing the new movie. I'm a big Conan fan as well as a Jason Momoa fan, so I'm willing to give this flick a chance!